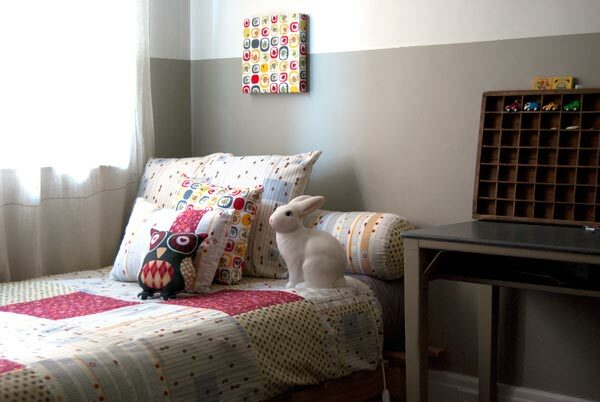 Follow the White Bunny: Meet Saffron & a chance to win a FQ bundle of Beetle Bug fabrics! 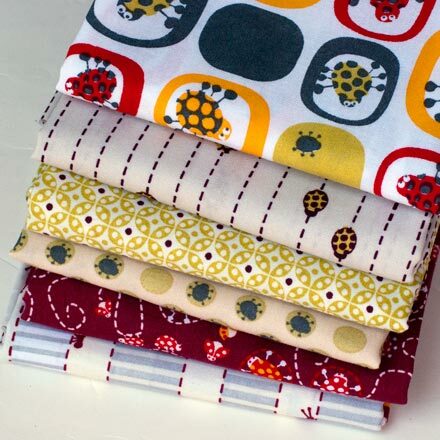 Meet Saffron & a chance to win a FQ bundle of Beetle Bug fabrics! 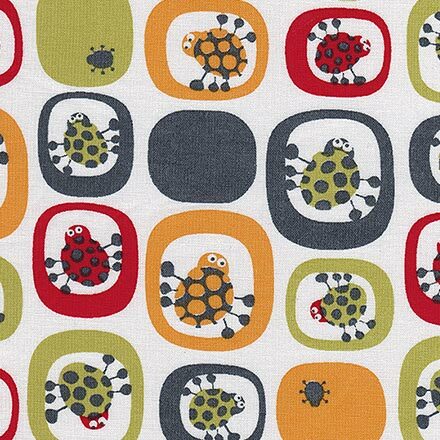 To me, Beetle Bugs is one of the most stylish and original lines of fabric for kids that I have seen in recent years. Could you tell a little bit about what inspired you while you were designing this line? SC Wow, thanks Nicole, stylish is what I was hoping for! The Beetle Bugs came about when my customers kept asking me to design a boys range. "Saffron there is really not many boys fabrics out there!" kind of thing. So I kept an eye out for inspiration, which came while playing with my daughters and her friend Matisse. Together they would look for snails and lady beetles for hours in the garden and we had every milk and yogurt container, tin can, match box, you name it filled with them (recycle recycle I say when you have kids). We would then often sit down and draw them together until I got a sense for the style I was going to go with. Once I'd drawn the main elements such as the snails and the bugs I had fun playing around with them putting them into patterns and repeats. The colours took quite some time to decide, I wanted them to be easy to live with and harmonious so I went with a more muted, neutral colour palette with highlights of colours to add some funk. A lot of the contemporary Australian fabrics I see (on Etsy for example), seem to have in common that the design is quirky, clean and almost graphic in design. Would you say your style is influenced by the place/country you live? SC I think this particular style is influenced by the colour limitations of screen printing in small quantities, something a few of my fellow Australian designers seem to do. That's how I started myself before I was able to expand to commercial printing with 5 and 6 colours. Living in Australia definitely influences my designing, I've always had a strong love and connection to the Australian landscape, heritage and culture, I studied Australian Aboriginal fibre arts at Uni. The colours here are so bright and intense and the landscape can be dramatic and there's abundant wild life, even in my backyard, so I draw inspiration from that. Which (line of) fabric by another designer did you wish you had designed? SC As a designer I am hoping to one day create a design which is as instantly recognisable as Orla Keily's work, her stem print is inspirational. I also think that Unikko for Marimekko is a design I would love to have created. It is timeless and works on any surface in any colour and in any scale. Also Florence Broadhurst, an Australian Designer from the 70's, had a team of designers who created really amazing wall papers and fabrics, she is a cultural icon here and her work so wonderful, you can still buy her papers from here. What do you have in store for us this year? SC I have a few more fabrics ranges coming out early this year. The first one is Magical Lands, a range which depicts my mental snap shots from around Australia and is due to arrive soon. Following that I have a range of fabrics called Imaginary Flower in plums and vanilla, which is sure to be a favourite of mine. Then we'll have some new softies and recolour the Beetle Bugs with orange (having a Dutch husband we love orange). Later on we will also be printing second colourways of Magical Lands and Imaginary flowers and maybe some new designs later in the year. So by June we should have about 40 new fabrics in total, better make some room in my studio! 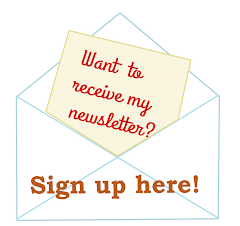 I have also set myself the task of introducing a new product each month. Some ideas I am playing with is a collaboration for an embroidery pattern with yourself (ed. yes, working on that! ), dress patterns, cushions, more downloadable paper designs, birthday card invites, the list goes on! A busy year for little me. Thank you so much Saffron for answering my questions and donating some of those gorgeous Beetle Bug fabrics for this giveaway. If you want a chance to win a Beetle Bug FQ bundle leave a comment on this post and be sure to tell me what your favourite (or perhaps most feared) bug is (of the garden variety I mean)! On the 10th of February 14.00 Central European Time I will close comments and draw a winner shortly after. Be a snail and leave a trail (website/email), so I can find you back just in case you should win! You can check out all Saffron's available fabric ranges, quilt kits and patterns here. Since getting an allotment I've had to revise my opinion of a lot of bugs, so I'm now not so squeamish about spiders and worms, but I am never ever going to be nonchalant about slugs! I've always found bugs to be fascinating... as long as they are not crawling on me!! When I was about 9 yrs old I created a comic book and the stories were about a spider I called "Herbert"! I love ladybugs. In our last house we used to get swarms of them in the back yard. It was magical to go out there with the boys and just see them everywhere. Oh bugs, I wish they could all look like the adorable critters on Saffron's fabric. As long as bugs stay away from me I'm ok but as soon as one lands on me I feel like I'm covered in them for the rest of the day! Maybe if they were colorful with expressive little eyes I would be more fond of them! :) Thanks for the giveaway and the interesting interview! I like Saffron Craig and many collections of this designer! My preferit collection is Bird tree range, the green and violet one. Spiders..... they are just too creepy in real life! Thanks for the lovely post and giveaway! Before answering your question, I have to say I LOVE the fact that Saffron found inspiration for her "boy" line while playing with little girls! Just goes to show that the artificial categories we put boys and girls into are so stiflng. I think this fabric is a universal kids' line- or heck, adult, too! My best teacher friend did her thesis on entymology, and LOVES ladybugs. Bugs, spiders and lizards abound in our yard and garden. I love looking at them but if they are eating my veggies I turn into the Queen of Hearts and "off with their heads!" it is. Thanks for the interview and the chance to win. Wow, I love this beetle bug line its just too cute!! I would say here in the not so sunny UK that my fave bug is a ladybird, the kids get sooo excited to see them!! Mu daughter and I collect ladybugs. I just love anything red and black! About bugs - I hate them all. Especially spiders. I can tolerate ladybugs. I have to say I'm not an insect fan, though I do like butterflies (are they actually an insect??) and ladybirds. Having said that, I think snails can look cute when they're drawn - though in real life they're monsters who ate my entire garden! I've noticed that someone already said this, but I too hate fleas! They are so darn hard to get rid of and just make pets (and people) miserable. I love all of Saffron's fabric. The colors are wonderful and so very different. Thanks for the give-away chance. I absolutely adore butterflys. I spent my childhood and most of my teen years drawing and painting them. There is so much variety and colour - they are beautiful. Love the beetle bugs. Perfect for boys... fortunately I have two of them! And two nephews ;)we are a family of boys! Thanks Nicole! A Mosquito in the middle of the night is so annoying. A Huntsman Spider lurking on the wall is just wrong as you are about to go to bed. Thanks Nicole for this terrific feature. You are such a gem. I read everyone's comments it is such a good way to start a Sunday morning so funny. Thanks. The infamous Funnel-web Spider floating ominously in the depths of our swimming pool when I was a kid. In later days I was fortunate (or not) to be privy to the capture of a female Funnel-web that surpassed the size of a 20c piece (the abdomen! not the entire spider). Needless to say we gave it to the Toxicology department of the local University for milking. Thanks so much for the interview with Saffron. I am very excited to see that she has so many plans in the pipeline for the coming year!! I love ladybugs and Dragonflies, nothing makes me smile more than having a tiny little ladybug land on me on a warm sunny morning! I've always been drawn to bees. Like, big bumble bees! Maybe it's because my name, Melissa, is from the Greek word for honeybee. 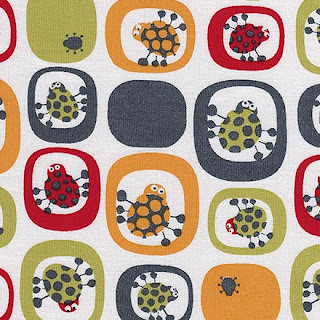 Love the Saffron fabrics and know my son will especially love those beetle bugs! I've always found dragonflies facinating. I think maybe because they hover, and move so fast that you very rarely actually get to see the detail in them. Oh, and ladybugs. Ladybugs were quite rare to find as a child (at least in our garden) so they still hold a bit of mystery and wonder for me. what a lovely interview, thanks! I'm so pleased to see that Saffron has a busy year and there are lots more treats in store for us - I'm a huge fan of her fabrics and can't wait to see more. I really love the Beetlebugs range - so cool for boys and girls. Thanks for the chance to win some. My favorite insects are butterflies. tropical_tiki_goddess at msn dot com. I'm particularly fond of Junebugs (because I AM one) but never seem to see many of them! And as a gardener, detest slugs. But I still feel bad for them. Saffron's fabrics are so lovely!! My favourite bug would be the Cotton Harlequin bug which is found in Queensland as it is very colourful. Thank you for the interview the year ahead holds such promise ! Well my daughter has a pet Praying Mantis at the moment so I guess Goggles has to be my favorite bug. They are amazing and they eat all those nasty bugs that eat my veges. Today at the garden shop both Aishlyn and I had an amazing insect land on both of us (my ear and her face). I don't know what it was, bright green with wings that looked like a leaf. Seems bugs are very interested in us so it would be great to have some bug fabric. 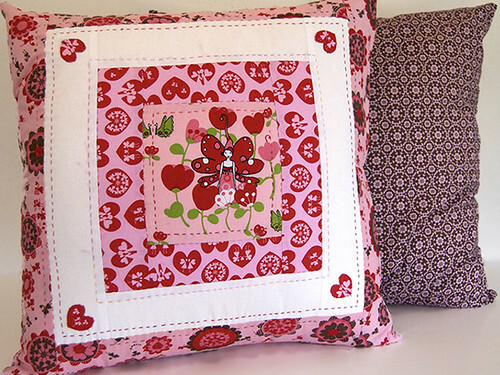 Oh love the new line and I love the cute little lady bug, all red and black and round. I have never been a big fan of spiders, but given our huge. persistent and ever present mosquitos, I am finding a new found respect for them, and the work they do in naturally keeping the mozzie numbers down. Thanks for the lovely interview, Saffron is a tresured designer here in Australia, I try to use her fabrics in gifts going overseas. The usual one.... Spiders!!! Ugh makes my skin crawl!!! I love this collection so much! I make baby and kids quilts so I love these fabrics. I love lady birds, woodlice and dragonflies. I hate Daddy Long Legs (crane flies) with a passion though. Even thinking about them makes me shudder. Lovely fabric on display here! Those beetles are absolutely wonderful. Thank goodness they aren't spiders!!! My fave bugs are spiders! Wowee these would be fantastic for creations for my little boy. I think my favourite bug must be a spider, especially in the frost when their webs look soo beautiful! Not so keen on them in the house though! Earth worms any day (do they count? ), they make me happy anytime digging in the garden. I'm so glad to see some fabrics appropriate for boys that aren't just sports or trucks. This line is so cute and the colors beautiful! I really don't like spiders-especially the black widow and brown recluse we have here in Tennessee. But we do have some lovely lightening bugs in the spring and summer. My kids always had fun catching them in jars and watching them light up. I love to see them twinkling over the yard on a summer's night. I would love to win some of Saffron's fabric to make a quilt for my first grand baby--a boy! It's the flying, stinging ones that I don't like. Bees, wasps, hornets, etc. I have inherited this fear from my mother and as much as I try not to go into a panic, if I'm startled by buzzing you will very quickly find me at the other end of the garden! What great fabrics. How can one choose - I must say the bugs are awfully adorable! I have had a fondness for dragonflies ever since I discovered that they eat mosquitos! I do not like mosquitos; they love me. Saffron's designs are wonderful! The bugs are cute and her new lines sound wonderful, also. Thanks for the interview and giveaway! I have always liked Ladybugs (we buy a box of 100, and turn them loose in my garden to help get rid of other pesky bugs)In the garden there aren't any bugs that I'm afraid of, but of bugs in general I'd say just the thought of bedbugs or lice can sure creep me out- I hope to never meet either one! In Texas we have something called a "stink bug." They are ugly and have horns and I am afraid of them! Hi! I am new the sewing world. I have been an observer for the past few years, with 2 very active boys (under age 5) I haven't really had a chance to start my love affair with sewing. I have to say that my favorite bug is the stick bug. They are so facinating is it a stick or a bug? After having two boys and being immursed into the world of bugs, mud, trucks and trains I slowly started enjoying all things boy. I love this new line of fabric! All Boy! OH, wow, an Australian fabric designer. I get frustrated with the limited fabrics that seem to be imported into Australia, so it is always good to find someone is doing something more interesting. The creepiest bug -- the earwig. Nasty.